The genuine Worcestershire sauce will spice up your meals! Worcestershire sauce will spice up your dishes, soups or vegetable juices. Drizzle it on a tartar steak, chili con carne or bolognese sauce. Try the British touch and sprinkle a few drops in Kirkpatrick oyster, cooked with bacon and cheddar. It will bring just the special taste your cocktails needs, whether it be tomato juice or Bloody Mary! In 1830, two chemists—John Lea and William Perrins—devised the recipe of a sauce, originating from Bengal. 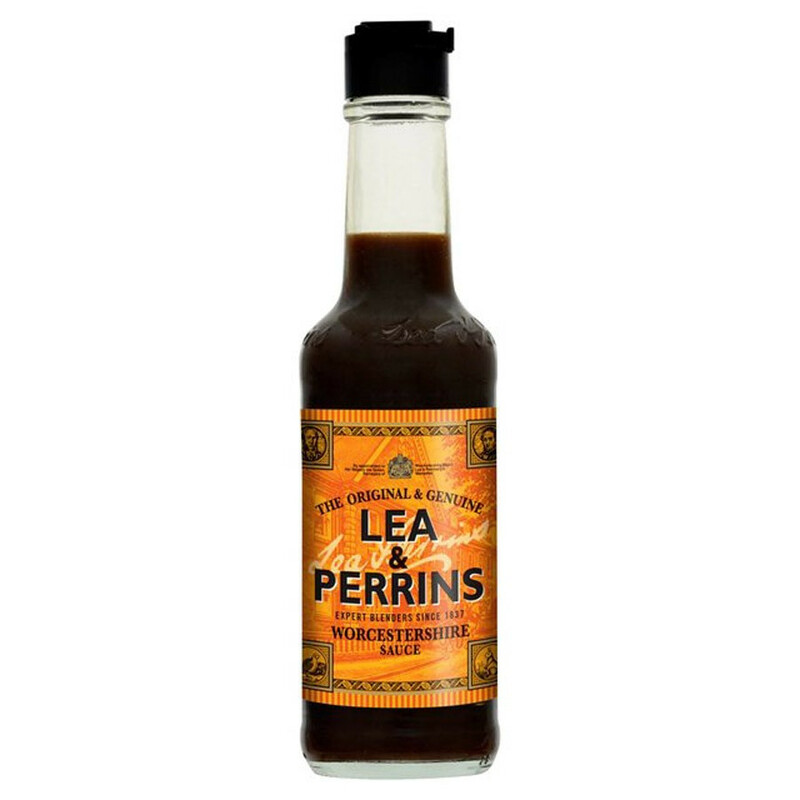 Both from Worcester, Worcestershire, their naturally came up with the name “Worcestershire Sauce”. Lord Sandys, a nobleman former governor of Bengal under Queen Victoria, asked the two men to duplicate a Bengali recipe he’d found and liked on his Eastern travels. Making up the first batch of the sauce, Lea and Perrins were not impressed with their initial results. Prepared with molasses, vinegar, anchovies, shallots, tamarind pulp, garlic and various spices, the sauce is found to be…unpalatable. The jars were simply left the jars in their cellar to gather dust. A few years later, they rediscovered it and decided to taste the contents again. To their delight, the aging and fermentation process had turned it into a delicious, savoury sauce. Until today, the ingredients are left to mature for 18 months before being blended and bottled. As for the exact proportions of the recipe, they are still kept secret… The sauce is commercially sold as a Lea & Perrins condiment from 1837. Meeting tremendous success, the two creators opened a factory in Worcester that is still today manufacturing all of Lea & Perrins bottles for the United Kingdom. In 2005, the building has been purchased by H.J. Heinz, but the sauce is still branded as “The Original Lea & Perrins Worcestershire Sauce”. Ingredients: malt vinegar (from barley), spirit vinegar, molasses, sugar, salt, anchovies (fish), tamarind extract, onions, garlic, spice, flavourings. Best before : see cap.